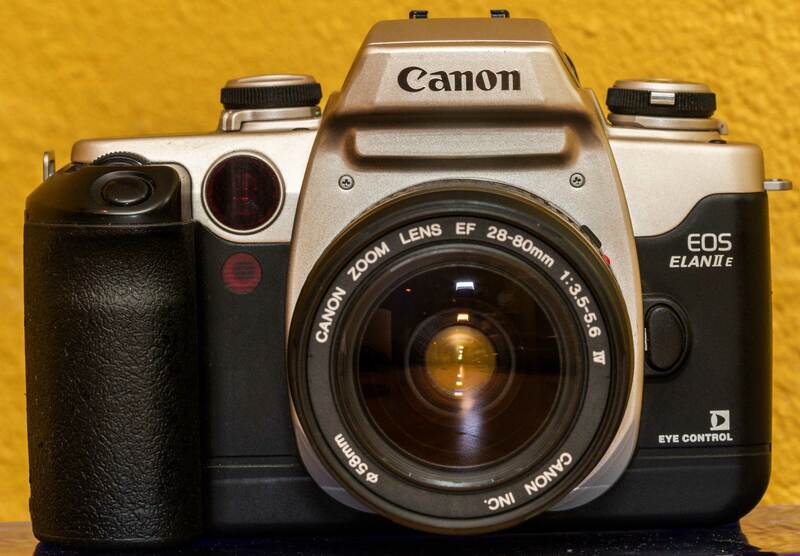 Canon EOS Elan IIe First Impressions: Autofocus? More like Automagic. The EOS 50/50e (Elan II/Elan IIe, respectively in North America) is an advanced amateur SLR introduced in 1995 and discontinued in 2000. Compared to its EOS 10 predecessor, the new camera adds Eye Controlled Autofocus on the “e” model and a few other things.